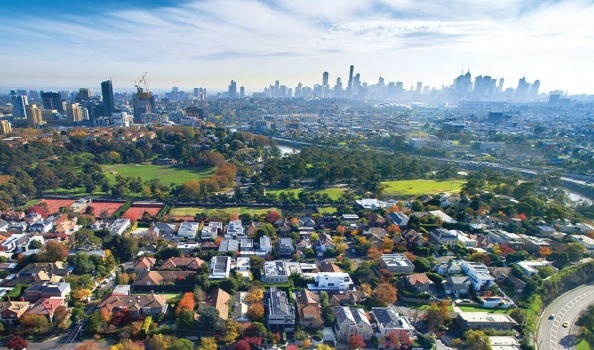 New data compiled by independent investment research house SQM, reveals Melbourne’s already tight residential vacancy rate of 1.7% is likely to fall lower by 2019 as new housing supply slows due to less investment by local and foreign buyers. Whilst the Melbourne and Sydney markets remained unchanged in August from July, improvements in other capitals around the country started to unfold after years of stagnation or even being in reverse. The country’s tightest residential market is Hobart where the vacancy rate fell to just 0.4% last month, the lowest recorded for any capital city since SQM started tracking figures in 2005. 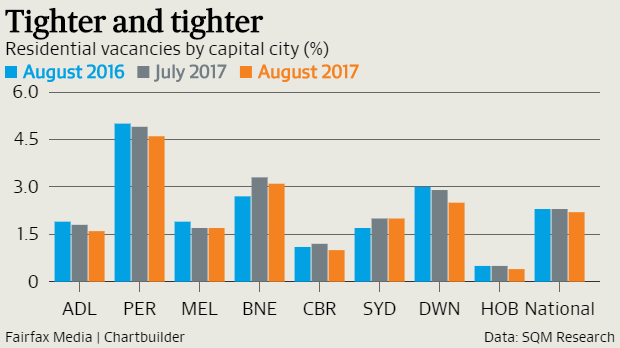 Darwin recorded a sharp decline for the month falling to 2.5% in August from 2.9% in July – the seventh straight month of tightening rates suggesting the downturn in its rental market is over. 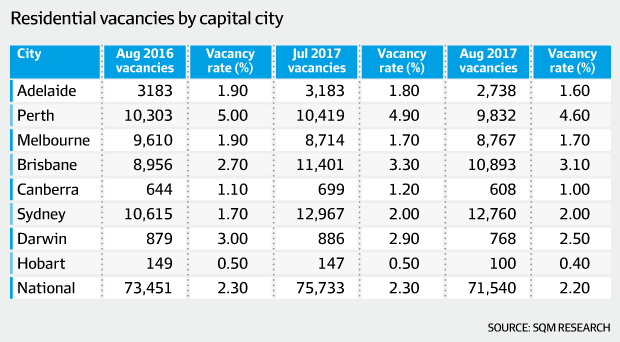 Year-on-year (Aug 2016-17), all state markets experienced a drop in vacancy rates except for Brisbane and Sydney where vacancies increased from 2.7% to 3.1% and 1.7% and 2.0% respectively. 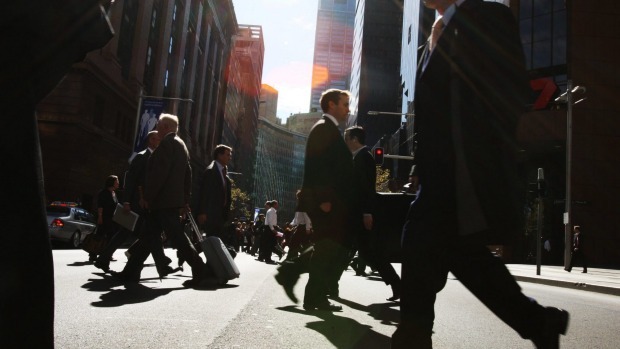 With a vacancy rate of between 2 and 3 per cent, regarded as a market in equilibrium, the outlook for Melbourne supports earlier research by BIS Shrapnel suggesting that the city, like Sydney, will suffer from a shortage of dwellings rather than a surplus. “There is nothing in our numbers to suggest the market is about to be hit with oversupply,” SQM managing director Louis Christopher said on Monday. These remarks were echoed by industry group Urban Development Institute of Australia (UDIA) who published a report last month suggesting there was a gap between demand and supply of 4900 dwellings in 2016 and just over 4000 in 2017. “There are currently discrepancies between what has been forecast, what we’ve planned for and what we’re actually delivering when it comes to both the amount of new housing and the infrastructure needed for future communities,” UDIA Victorian head Danni Addison said.